Pastor Abilio Sanches, from the Camino al Cielo church, knew that water was in scarce supply in their village of El Socorro where water is turned on only about once every eight days. 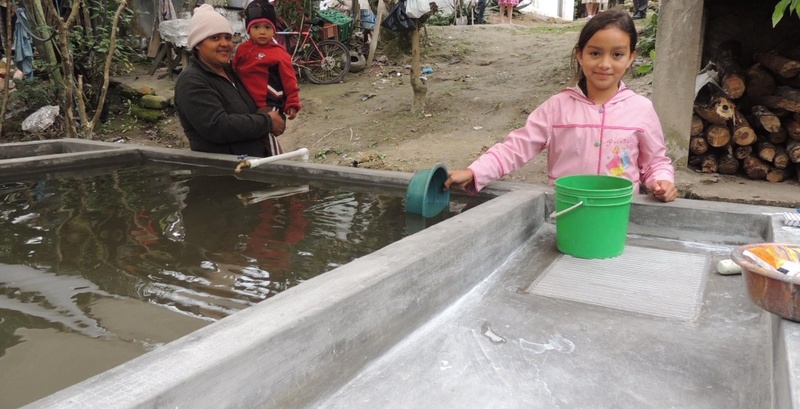 The Flores family, like many others, needed a place to store a supply of water for use during those dry days. They eagerly accepted help from Pastor Abilio’s church, which partnered with HOPE Coffee to provide them with a water storage unit (pila). This physical need of water opened the door for Pastor Abilio to share about their spiritual need of the living water. Soon afterward, both parents trusted in Jesus Christ! Now, every Thursday, they are meeting with Pastor Abilio for a Bible Study as he disciples them in the Word of God. Rejoice with the Flores Family as your new brothers and sisters in Christ! This is the purpose for which HOPE Coffee exists.